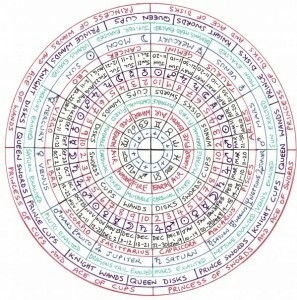 Horoscopes Within describes slightly different planetary placements based on the decans. 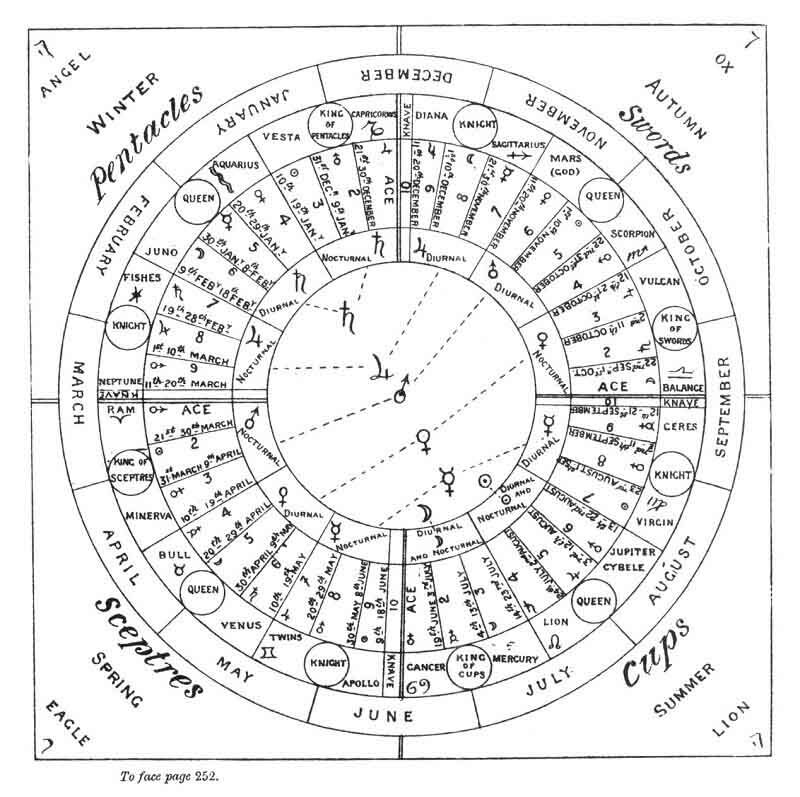 For example Thoth attributes the third decan of Aries to Venus while Horoscopes Within attributes it to Jupiter. I say use your own best judgement when it comes to matching tarot with astrology. 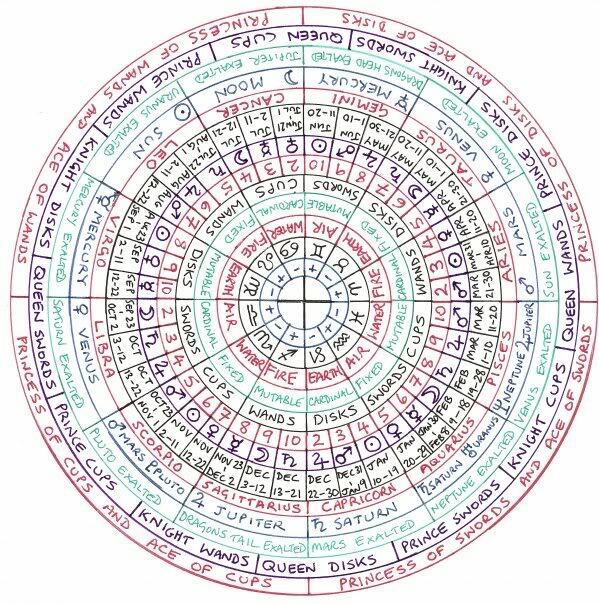 The court cards are my own seasonal correspondences except for “All court cards can represent X or…” which makes sense because it’s based on the first sign within the seasonal year. 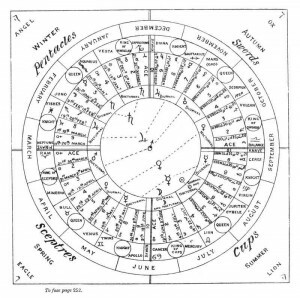 So the first sign of the suit Wands — Aries, becomes Spring, the first suit of Summer is Cups – Cancer, etc.. The image below is from this website. 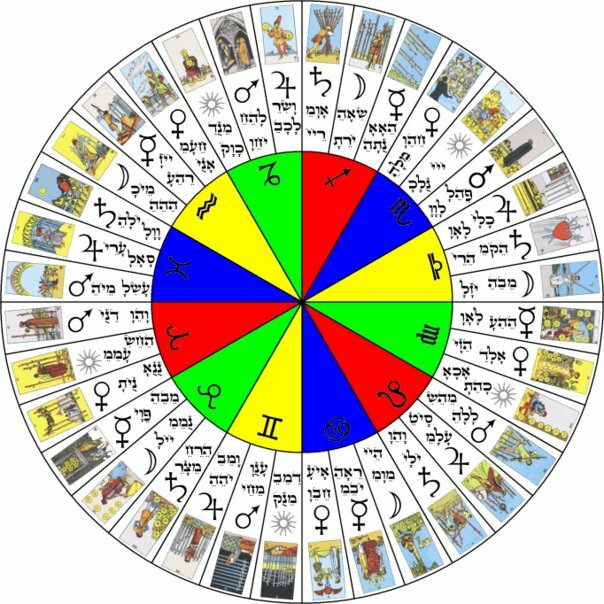 Another good website to learn the astrological connection to tarot and who has spiffy tables is SuperTarot. Image above found on this website. « What Qualities Make a Good Practicing Astrologer Who Reads For / Consults Others?